This is a trailer for Django. 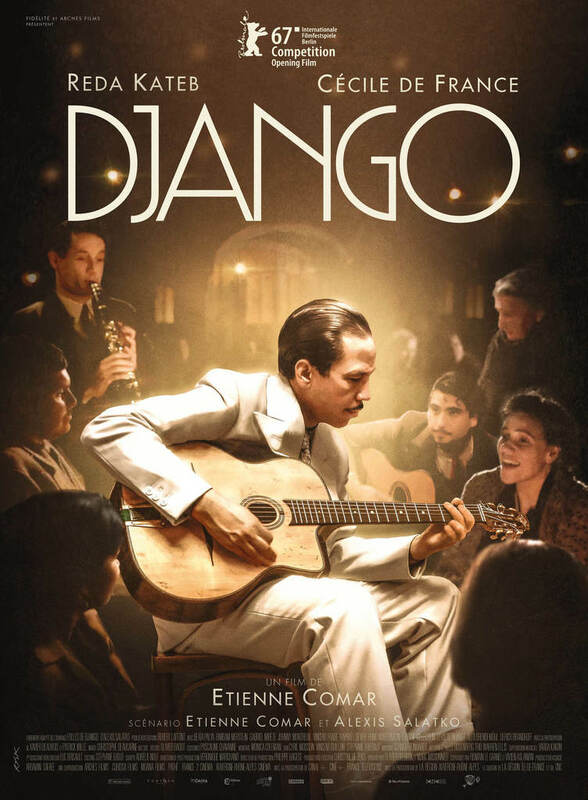 It was directed and written by Étienne Comar, adapted from Folles de Django by Alexis Salatko, and stars Reda Kateb, Cécile de France, Beata Palya, and BimBam Merstein. It is scheduled to be released in New York January 5, Los Angeles January 19, and additional markets to follow. Check out the synopsis and trailer below. 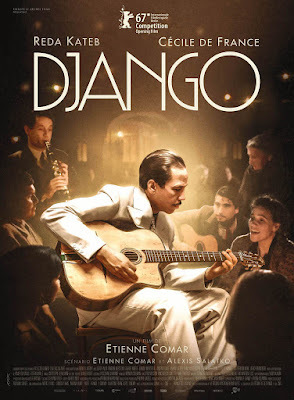 "The year is 1943 in Nazi-occupied Paris and Django Reinhardt is at the pinnacle of his art. The brilliant and carefree jazz guitarist, king of ethereal swing, plays to standing-room-only crowds in the capital’s greatest venues. Meanwhile his gypsy brethren are being persecuted throughout Europe. His life takes a turn for the worse when the Nazi propaganda machine wants to send him on tour in Germany."